VMware Per Incident support is actually the “pay-as-you-go” model, where you’ll choose 1, 3 or 5 incidents per year, and you use those “pre-paid” tickets to call VMware to open a support ticket when needed without buying a support contract itself. You should know, however, that VMware per incident support does not give you free updates like this is the case for the traditional support package. The Per Incident Support allows you to get a call from a technical engineer or by email support, within 12 business hours. Then there will be usually several exchanges on the problem before a solution is provided by VMware. VMware Per Incident Support is valid for one year after purchase during the General Support phase and does not include product updates or upgrades. Per Incident Support is not available during the Technical Guidance phase. VMware Per Incident Support is designed to meet the needs of individual consumers or customers with no or small datacenters and software development organizations. An incident is deﬁned as a question relating to a speciﬁc, discrete issue and may involve several interactions with Technical Support prior to resolution. Separate support incidents must be purchased for assistance with multiple support issues. 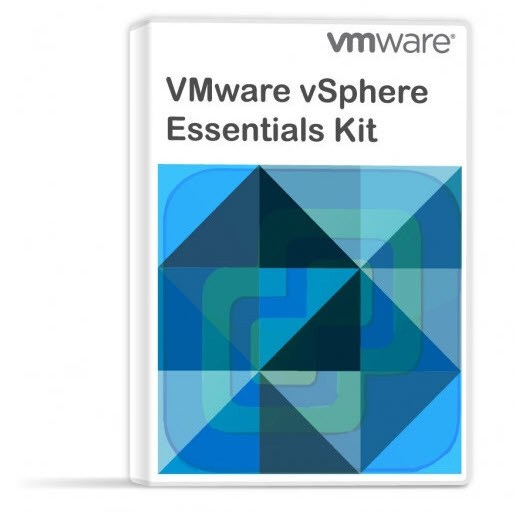 By purchasing a three or five incident pack, you can take advantage of a built in discount, as well as contact VMware Technical Support for three or ﬁve independent technical issues for your speciﬁed product. You should know that quite often, you’ll find an answer on your problem, in the forums, KBs or within the online product documentation. That’s why before purchasing Per Incident Support, VMware highly recommends that you take advantage of VMware’s knowledge base, documentation and discussion forums – complimentary resources that may lead directly to the answers needed! 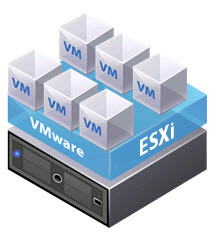 Launched in 2001, VMware ESX (formerly known as VMware ESX Server) has started the virtual revolution. Today, VMware is a leading data center virtualization company (now part of Dell). Every year and a half there is usually a full release of new software which adds new features and also assures compatibility for new hardware, such as NVMe SSDs, very large Hard disk drives or latest Intel or AMD CPUs. ESXi is the hypervisor. It is the piece of software (very tiny) which installs on a single physical server (host) and allows to run several different operating systems OS) to run side-by-side. Those OS are completely separated one from another but can communicate via a network with the rest of the world, with the rest of the computers running on Local Area Network (LAN). Operating systems are running on virtual machines (VMs) where each VM has virtual hardware (CPU, Memory, Disk).